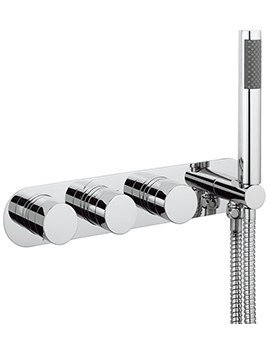 Simple and simply terrific! 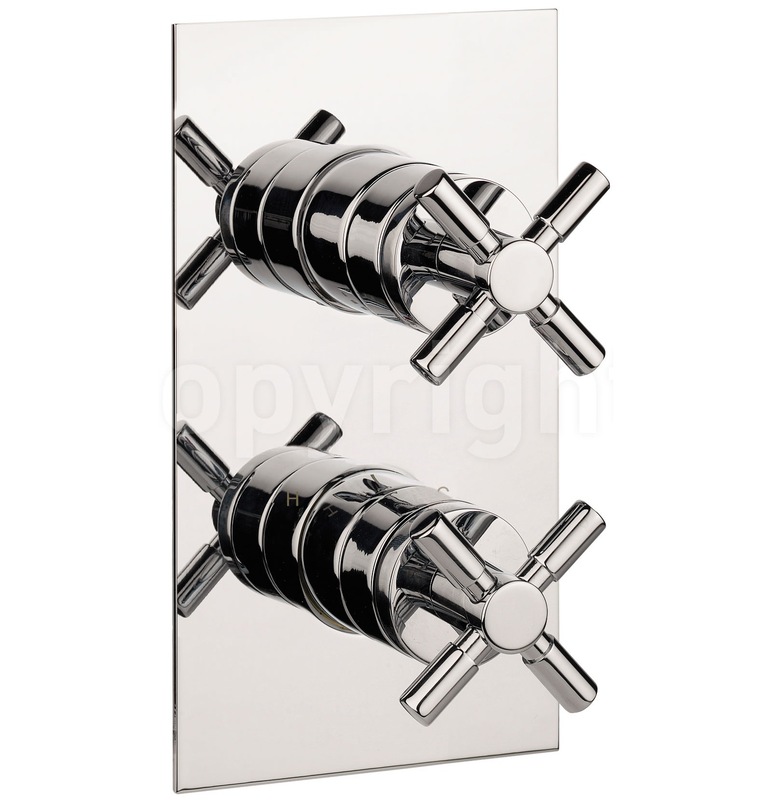 The Recessed Thermostatic Shower Valve from Crosswater Totti, with its easy-grip cross levers and sparkling chrome finish makes a strong style statement. 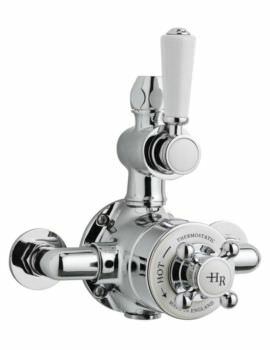 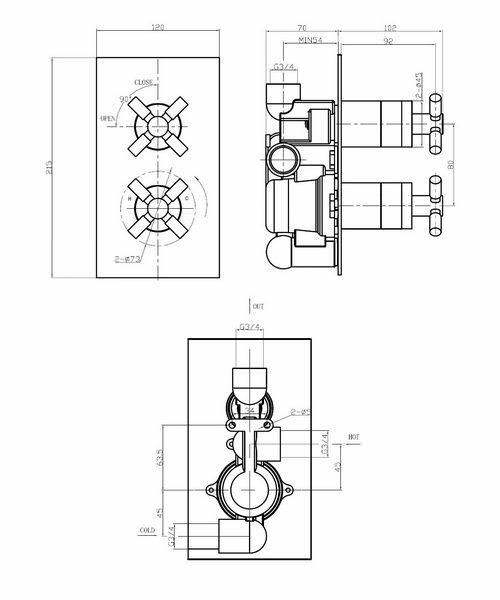 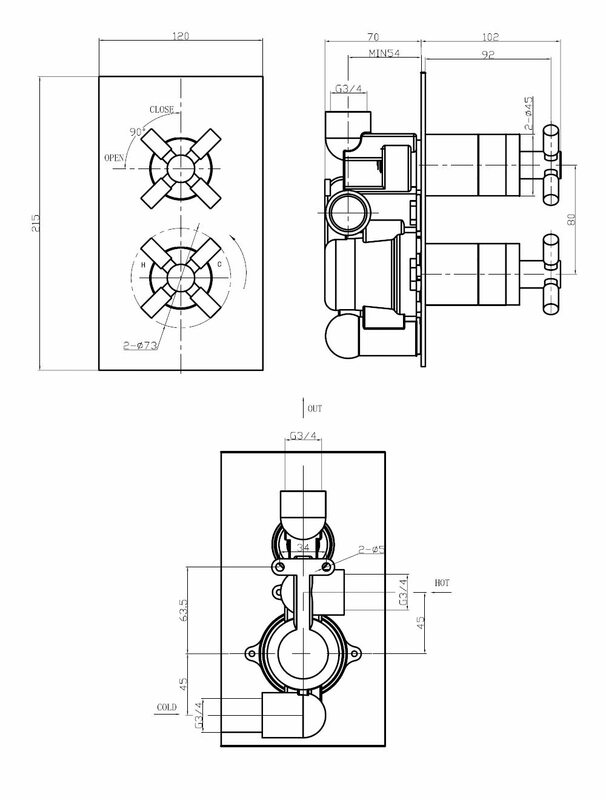 120mm wide and 215mm high, this valve comes with two functions; regulation of water to a single outlet and temperature control. 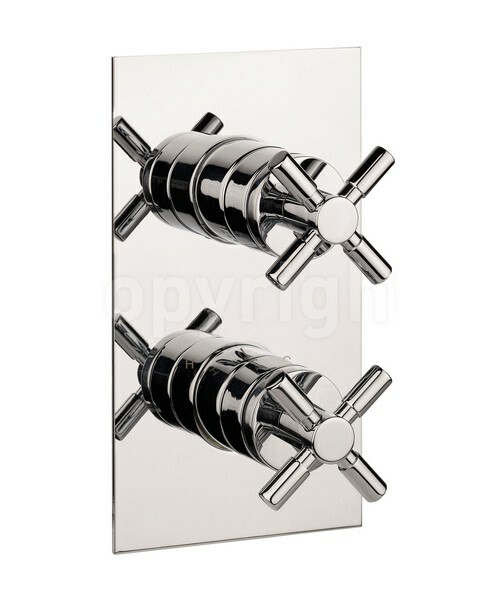 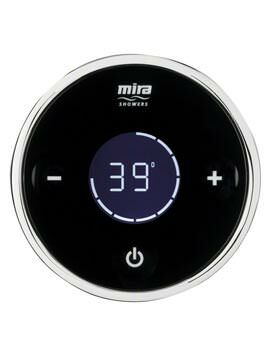 It is designed for concealed or recessed fitting and requires G 3/4 inch Inlet and Outlet connections. 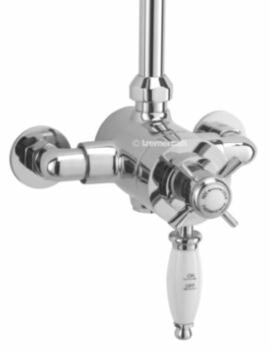 Suitable for low pressure water system this WRAS-approved shower valve operates on minimum 0.2 Bar pressure. 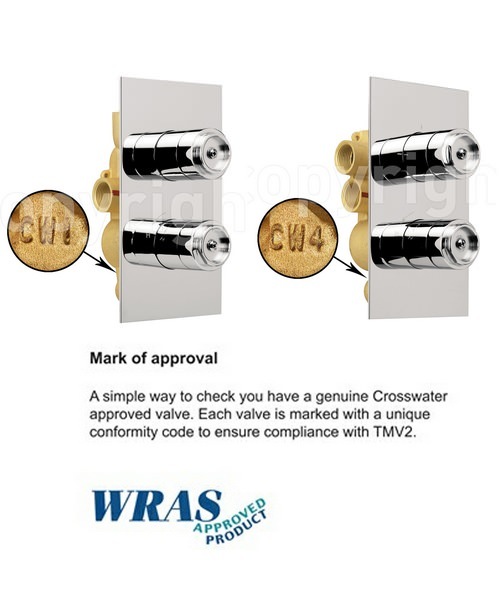 It comes with 15 years guarantee from Crosswater against any manufacturing defects. 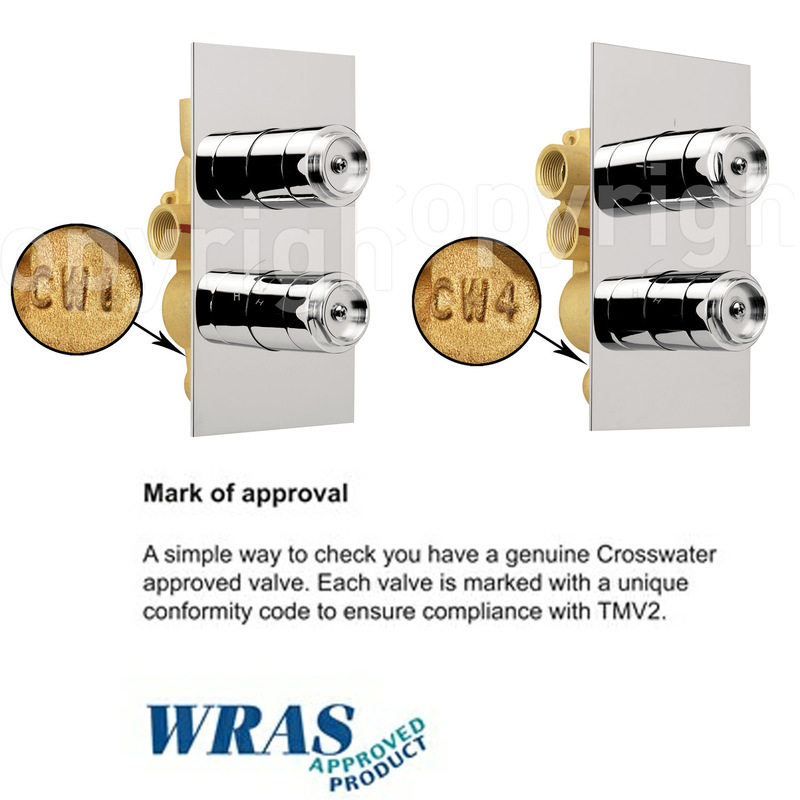 Each genuine Crosswater valve is marked with a unique conformity code, to be sure of compliance with TMV2.